We design and install walks, walls, patios, water features and large and intimate landscape plantings. We are graduate landscape services, architects, engineers, horticulturists, arborists and masons. Our experienced and professional help create award winning designs. 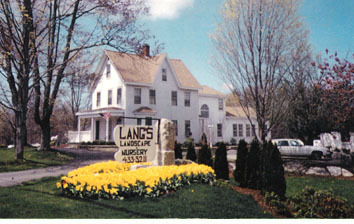 We have acres of plants and trees and a "showcase of hardscape designs" home and business. Come and see fountains, patios, walks and more!